The outcomes of the prestigious 2014 SURF Awards for Best Practice in Community Regeneration were announced on 2nd December at a celebratory presentation event in Glasgow’s Radisson Hotel. 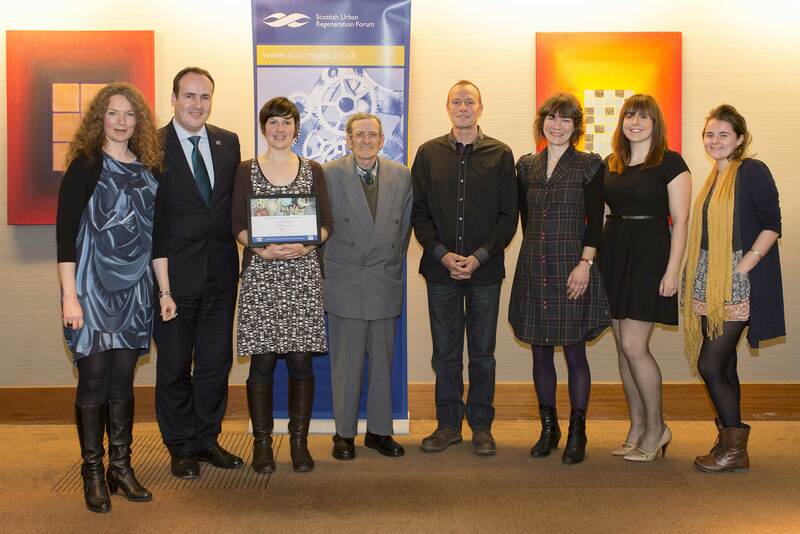 Representatives of the five category winning initiatives for 2014 were personally congratulated on their inspiring work by Paul Wheelhouse MSP, Scottish Government Minister for Community Safety and Legal Affairs. The SURF Awards are delivered each year by SURF, an independent network of regeneration organisations, in partnership with the Scottish Government. The purpose is to highlight, celebrate and share excellence and innovation in initiatives designed to address social and economic challenges in communities across Scotland. Preparing for Employment: WorkingRite Pioneers (Edinburgh) – An effective youth employability initiative that helps disengaged 16-17 year olds develop work and life skills through a comprehensive programme centred on work placements in small businesses. Community Led Regeneration: Horshader Community Growing (Shawbost, Lewis) – A community managed growing project in the remote west coast of Lewis that addresses poverty, increases the supply of fresh fruit and vegetables, and provides practical activities for local families. Town Centre Regeneration: Glengate Hall (Kirriemuir, Angus) – Through an innovative public-private financial partnership arrangement, a long-vacant historic building and local landmark was refurbished into nine high-quality affordable housing units, greatly enhancing Kirriemuir town centre. Creative Regeneration: North Edinburgh Grows – Inspired by international garden designs, and featuring a distinctive range of integrated artworks, this welcoming outdoor space was designed by North Edinburgh Arts Centre for people of all ages to enjoy. The five winning projects demonstrate the value of maximising the regeneration potential of assets already present in local communities, such as vacant land (Horshader Community Growing, North Edinburgh Grows, Every1’s Garden), at-risk historic buildings (Glengate Hall), and small businesses (WorkingRite Pioneers). In congratulating the winners, SURF Chair Brian MacDonald said the real value of the SURF Awards is in highlighting and celebrating the considerable efforts carried out every day across Scotland to improve the social, physical and economic fabric of our cities, towns and villages. The SURF Awards event was well attended, with over 200 guests in attendance from a wide range of public, private, and third sector organisations. Since 2003, the SURF Awards have been delivered by SURF in partnership with the Scottish Government. In 2014, SURF is grateful for additional support provided by Creative Scotland, Skills Development Scotland, PAS, and Architecture + Design Scotland.